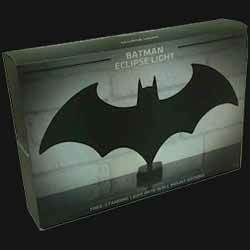 Add a touch of ambient lighting to your man cave, bedroom or office space with the Batman: Eclipse Light from Paladone. 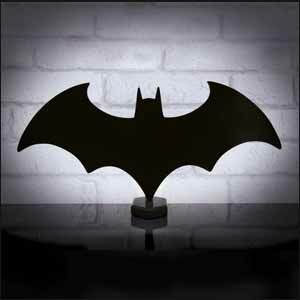 Inspired by the iconic Bat-Signal - the silhouette logo used to summon the Caped Crusader - this stylish light is made from rigid plastic and features eight mini bulbs on the back of the logo design. These bulbs send quite a bright light out from behind the bat symbol. While this comes with a detachable stand, it looks way cooler when mounted on a wall. If I had one complaint, it's that I was hoping that this would be a rechargeable unit, rather than relying on a USB connection. Basically, if it isn't plugged into your computer (or the mains) it won't work. It's a shame that you can't plug it in to charge and then use it for several hours without the need for a cable. Otherwise, this is a great product that every Batman fan should own.